Technology has changed the way businesses operate and Enterprise HR leaders must adapt to keep up. With the addition of new technology and the digital age, HR leaders have to tirelessly learn about new technologies so that they can receive and deliver information. 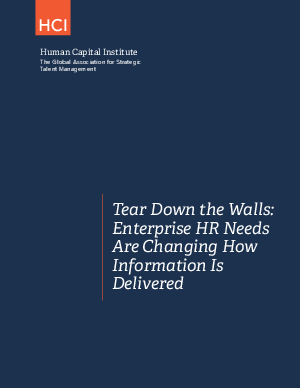 Download this whitepaper to see the 4 best information delivery practices for Enterprise HR leaders and see how they can keep ahead of the game.